Mends Street Jetty is located in South Perth in Western Australia. The jetty is on the southern shore of the Swan River in the section known as Perth Water. The ferry service is primarily used for accessing the Perth Zoo from the CBD. It is unknown when the first jetty at Mends Street was built, however, with the opening of the Perth Zoo in October 1898 it was recognised that a regular cross-river ferry service was needed. Therefore, at about that time, the existing jetty was widened to 15 feet and an existing service which ran between William Street and Queen Street Jetty was extended to Mends Street. The service was run by Joseph Charles who operated the Queen (later Empress) and the Princess. A few months later, Charles and his partner S. W. Copley started operating the PS Duchess, a locally constructed vessel.Duchess made its inaugural run to Mends Street Jetty on 11 December 1898, and plied the route for the following 29 years. Later services included a business operated by Jack Olsen and Claes Sutton who ran a fleet including the Valfreda, Valkyrie I and II, Valhalla and the Valdhana between jetties at Point Belches near The Narrows, Mends Street and Coode Street. Windsor Park was established in 1886 as a village green for South Perth and has been used by residents of the district for recreational purposes constantly from this time. Over the years the sports of lawn bowls, cricket, rugby, tennis, football and soccer have been played on the green. Though the other sports have been relocated, the Lawn Bowling Club is still there. Windsor Park has aesthetic, historic and social cultural heritage significance. The open space makes a valuable contribution to the heritage precinct that includes the Windsor Hotel, Heritage House, the Old Mill Theatre, the Police Station and the Post Office. It is a remnant of the village green or common, a part of life inherited from British lifestyle, no longer practiced in Australia. As a centre of recreation the South Perth and Deaf Bowling Club is still functioning, while historically the park used to be the focal point for sport in South Perth. Windsor Park is still used for the occasional sporting event, but is more important for its passive recreational popularity. 1898 two major attractions opened — the Perth Zoo and the Windsor Hotel. The Windsor Hotel was designed by prominent architect J. J. Talbot Hobbs, and built for George Stickland in 1898 at a cost of ₤4,050. 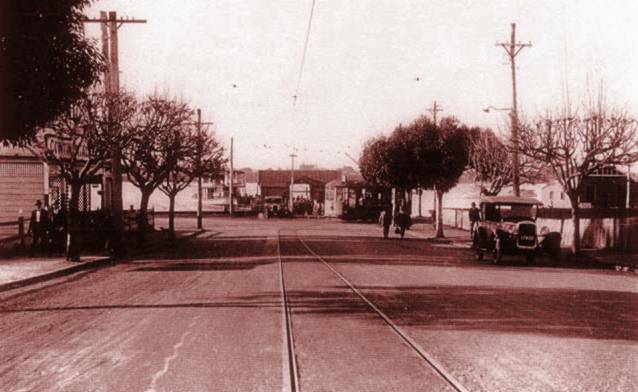 The hotel opened on the corner of Mends Street and Mill Point Road at a time when the popularity of South Perth was increasing; by the mid-1890s the suburb was well established. In 1898, the Perth Zoo opened, along with a post office, which operated out of the hotel for a period of time. Part way through World War II, the Stickland family sold the hotel to Mary Thomas (later Mary Raine), who willed it to the University of Western Australia. Major works have taken place since the Windsor was constructed in 1898, with renovations carried out in 1962, 1965, 1970, the 1980s and 1991. 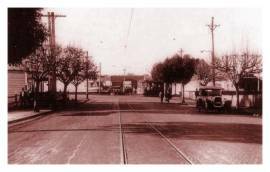 The office began operating on 7 November 1898 (the same day that the Windsor officially opened for trade) and continued to operate until the Post Office on the corner of Mends Street and Mill Point Road was constructed in 1900. 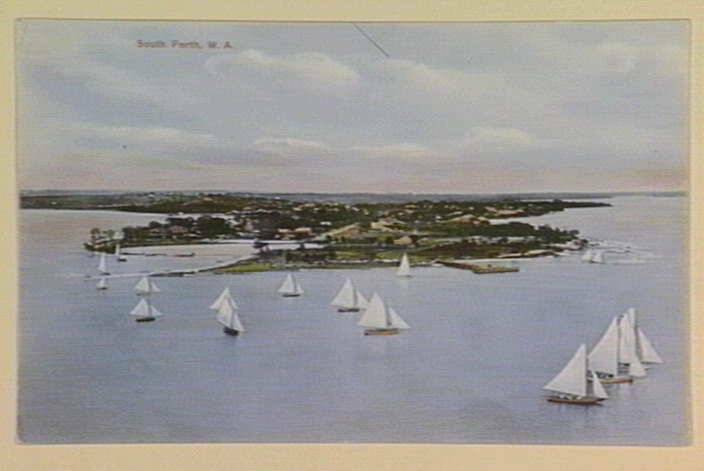 Originally known as an isolated artist's colony by 1903 South Perth was becoming a tourist destination and a dormitory suburb for the city. 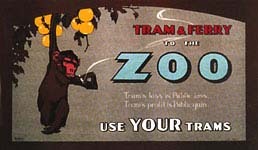 The Zoo opened in 1898 and Mends Street became a part of the tourist walk from ferry to zoo. Artist May Gibbs lived close by and "depicted well-known local residents (including first Zoo Director Ernest Le Souef on a bicycle) hurrying along Mends Street to catch the Duchess to Perth. One of May Gibbs’ 1906 cartoons, depicted well-known South Perth characters hurrying down Mends Street to catch the ferry to Perth.(pictured). ... 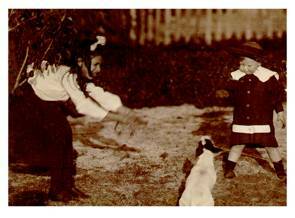 Looking back, the talented father-daughter team was also part of a defined artistic community in South Perth, in the early days of the twentieth century. 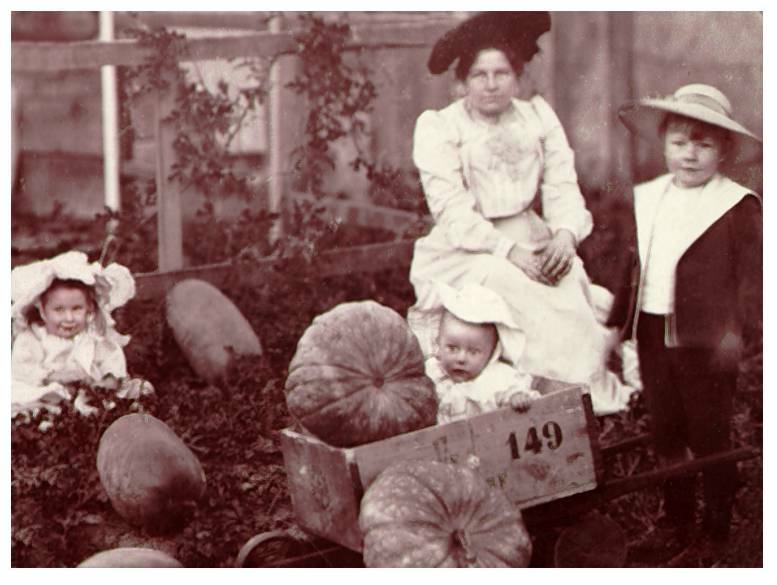 May Gibbs arrived in South Perth in 1890 with Herbert and her mother, Cecilia. The family lived together at ‘The Dune’, a bungalow on the corner of Harper Street and Suburban Road (now Mill Point Road) until Herbert’s death in 1940. May grew into adulthood in the tranquillity of South Perth in the 1900 era – relying heavily on the Perth - South Perth ferry service – with the construction of the Narrows Bridge six decades away." 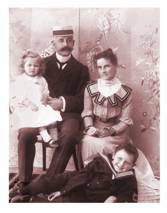 Herbert and Caroline's daughter Mary was born in South Perth in May 1903 at "Halehurst", Mends Street. "Halehurst", after Caroline's family, later became the name for the long term family home in Melbourne. Mends St is short and runs down to the Swan River opposite the Perth business district. 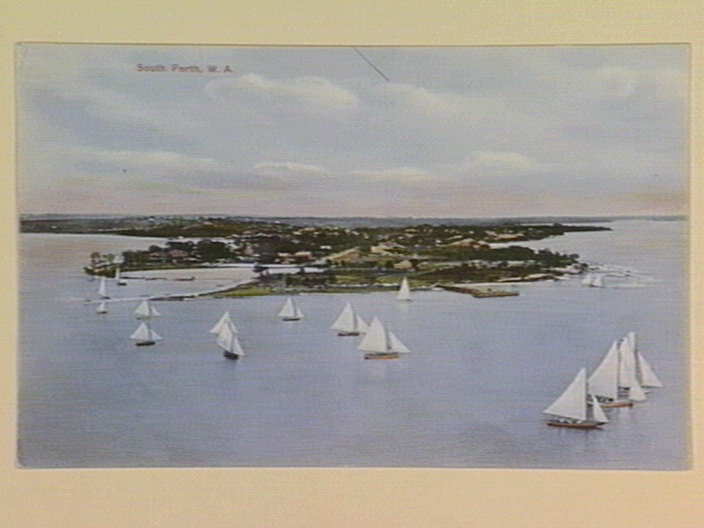 Just prior to 1900 a ferry terminal was built at the end of the street (shown in this family photo). The 1904 directory shows only two houses on the east of Mends Street between the jetty and the Windsor Hotel with the Shaws closest to the water. Opposite were only a couple more houses and a tea gardens establishment. By 1926 when the photo on the right was taken the number of houses on Herbert's side of the street hadn't changed. The view is down Mends Street to the ferry terminal from near the Windsor Hotel and it is just possible that the house on the right is "Halehurst". Certainly in 1904 the Esplanade seems to have finished at Mends Street so Herbert must have enjoyed "absolute waterfront". It is likely that the photo below, showing the jetty with Perth in the background, was taken from close by the house. 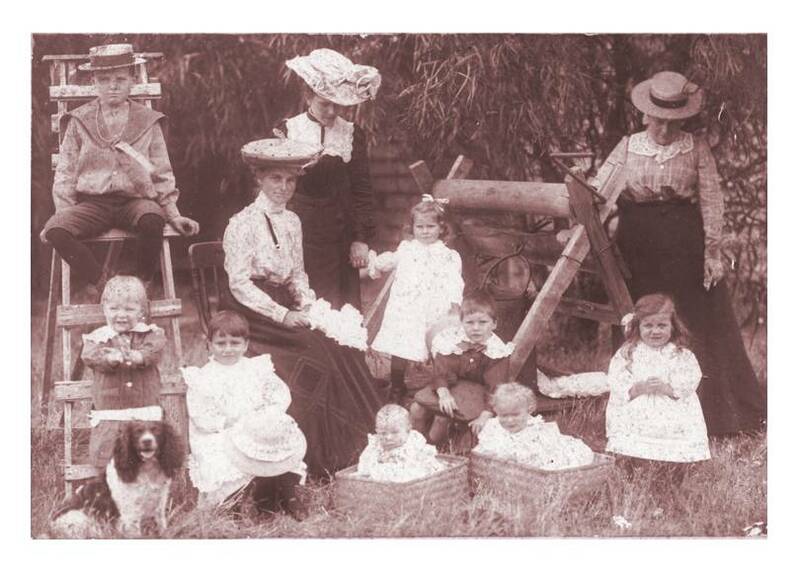 The Shaws weren't alone in South Perth with two of Herbert's sisters and their young families within a short walk. Almost next door in the first house back up The Esplanade were Theo and Eva Felstead and family (left with Bill and Muriel abt 1900). Horace and Effie Summers and their family were living about a kilometre away at the corner of Stirling and Melville Parade and Alfred Shaw was not far away living in one of the first houses in the newly developed Applecross. 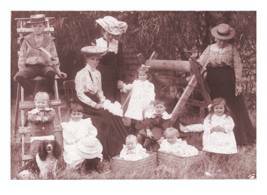 On the right are Eva, Effie, Caroline and their eight children in late 1903. Herbert wouldn’t recognise the Mends Street of today. It has become a modern commercial strip servicing the ferry traffic of commuters and tourists. Apparently some of the original houses may remain behind the later additions of shop fronts but from a quick look they have probably been completely replaced by now. Some landmarks do remain. The Windsor Hotel is certainly still open for business looking much as it did in 1904. Further up the point the old mill which appears in many of the photos has been restored as a heritage centre. 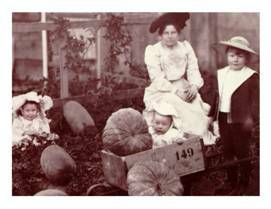 The photo on the left was captioned "Mary, Elaine Felstead, Tom". Judging by their ages it would have been taken in 1904 probably in South Perth. (There was more to the caption but I cut it off when scanning the photo). On the right are Ailsa Shaw (b1892) and Tom Shaw (b1901) taken about 1902. There is an interesting footnote probably to do with the other building at that time in Mends Street, a private school. About fifteen years later, Caroline Mary's close schoolfriend Agnes Cross, then recently retired as headmistress of Tintern in Melbourne, was brought to Perth to set up a school in Mends Street. It seems too coincidental that their relationship had nothing to do with this. From South Perth, Herbert and family moved on to Collie. 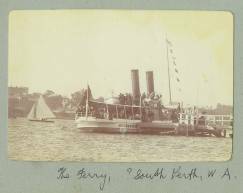 The Duchess was the most famous ferry to cross the Swan River transporting passengers from Barrack Street Jetty to South Perth from 1898 to 1927. 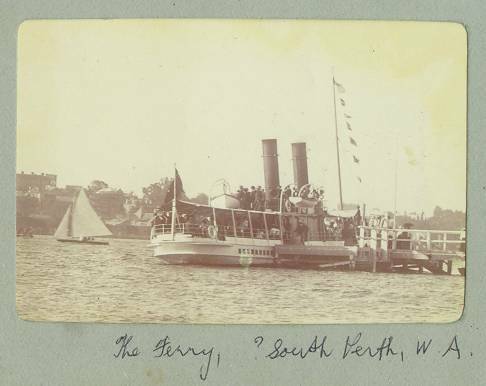 It made its inaugural run to Mends Street Jetty on December 11, 1898, two months after the Perth Zoo was opened.